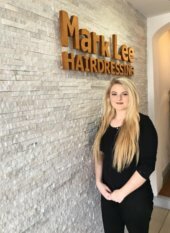 Mark Lee Hairdressing is a luxury lifestyle salon in the heart of Pocklington. Located on George Street, the salon is an urban retreat that provides clients with a place to relax, indulge and be pampered during their visit. As an exclusive Wella salon, the hair stylists work closely with the client to advise and help them achieve their perfect look. Creating a personal experience from start to finish, the salon offers the latest techniques and innovation in hair styling and care. Mark Lee Hairdressing is also a certified salon provider of the world renowned Great Length Hair Extensions. 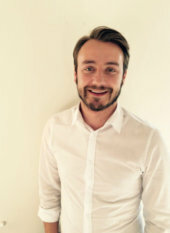 With more than 13 years experience working as a hair stylist and colour technician in York city centre, Mark opened his own salon in 2014. 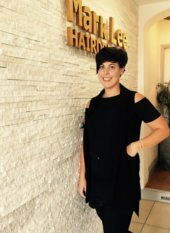 Now with a team of six, including some of the most creative stylists in the area, the salon has become a home away from home for clients and is recognised across Pocklington for creating bespoke cuts in a relaxing and friendly setting. Plus more, contact us for any further information. 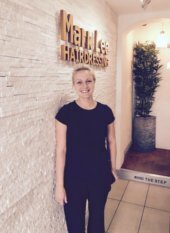 Our stylists are some of the top professionally trained haircare specialists in Yorkshire and the York area. With leading stylists, we can meet your exact hairdressing and styling requirements. We cater to both Women and Men, as well as also offering a professional Children's service. Our technical services provide Full Head, Hightlights/Lowlights, Permanent Colours, Semi Tone, Perming, Hair Extensions and more! Intensive treatments are available and we only use state-of-the-art hair colour products. Mark Lee Hairdressing also offer Nailcare including manicures and pedicures. Having followed Mark from York to Pocklington, I cannot speak highly enough of the service offered by Mark and his colleagues at the Salon. Mark listens carefully to your requests and responds with skill and precision whilst also using his creative flair to open your eyes to styles you hadn't considered. 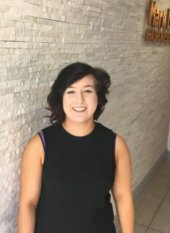 The salon is friendly and relaxing and I would recommend them to anyone.